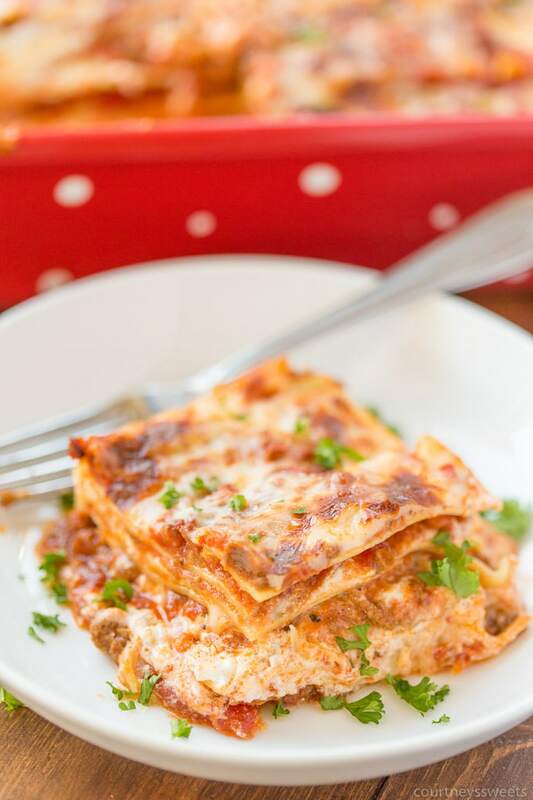 Our Lasagna Bolognese is the ultimate meat lasagna recipe. We use a combination of ground beef and short ribs that are falling off the bone, plus it can be made simple by using leftover Sunday Sauce too! I grew up with lasagna as my favorite dish. I blame the cartoon, Garfield. That cat loves his lasagna, and I just had to be like him. My mom made the best lasagna recipe, she made a meat lasagna recipe and a vegetarian lasagna recipe whenever she made it. I remember waiting for the cheese on the lasagna to melt when my mom put the lasagna in the oven. My sister and I would sit by the window of the oven and just wait impatiently for it to hurry up! We couldn’t wait for the freshly baked lasagna to hit our plates. I lost count of the times I’ve burned my mouth as a child as my mother told me to “let it cool down!”. 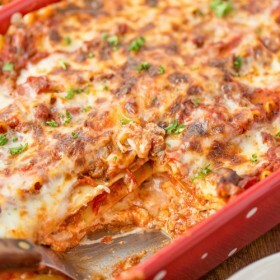 What meat goes into a meat lasagna recipe? You can put any kind of meat you like into your meat lasagna. Some like a mixture of beef and pork, beef and sausage, we go for a blend of beef and boneless short ribs. I’m not a fan of sausage in my lasagna, we go for an all beef lasagna with a focus on the flavors from the veggies as well. What are short ribs? Short ribs are a tender cut of beef. It can be on or off the bone in the markets. It’s taken from the bShort ribs are a cut of beef taken from the chuck portion. They’re great for braising and slow cooking. I love adding them to my lasagna bolognese, meat sauce, and even chili! When you put it into this meat lasagna recipe it will not be tough, but extremely tender. 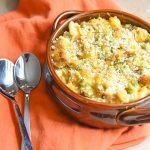 This is truly an easy meat lasagna recipe and you can swap the meat out for your favorites if short ribs aren’t your thing, but please promise you’ll try them at least once if you don’t make them in this homemade lasagna recipe, you can easily just try the homemade meat sauce with it! How long will this lasagna bolognese take to cook? Preheat your oven to 350 before assembling so that it’s nice and warm when you put the lasagna in the oven. Since the meat sauce is already fully cooked you’re just heating up the lasagna. This means you can easily assemble the lasagna and bake later. We do not use any eggs in the ricotta mixture for this reason. I can easily prep the lasagna the day before baking. How long to bake lasagna will depend on how browned you like your cheese, we go for 20 minutes if we make 2 small lasagnas or 30-45 minutes if we make a large one. A classic lasagna is usually made in a 9×13 pan, but you can easily put this into two or even three loaf pans. The beauty of lasagna is you can prep many of the ingredients ahead of time. I like to make our meat sauce for the meat lasagna recipe before even making our lasagna! The bolognese itself takes about 2 hours so you can really cook down the short ribs enough so that they’re tender. I let my sauce cook for hours and the result is an incredibly delicious sauce with bits of lean ground beef and short ribs falling off the bone. 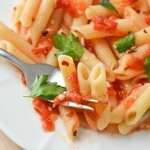 I love to incorporate fresh vegetables into my sauce, but if you don’t like that just add more tomatoes. 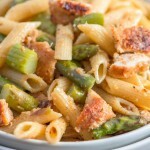 Your kiddos won’t even know that the veggies are in there once they’re all cooked down. My daughter loves veggies so she actually helps me wash and watches me cut them. She’s a veg head for sure. 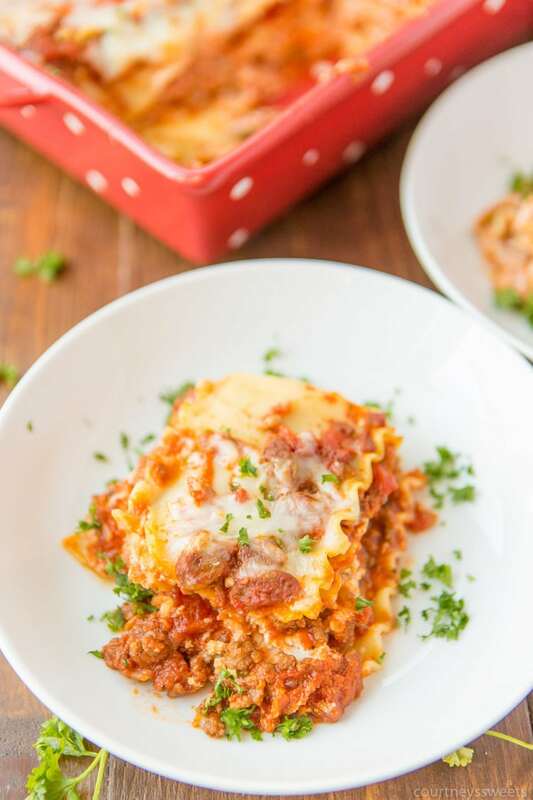 My lasagna bolognese recipe uses NO WINE! 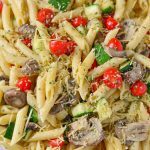 (Grape juice makes your tummy happy in this recipe!) My grandma would use a red wine, but cooking with wine can be a out of the question for some. Grape juice makes a great alternative here. I know that if I make anything with pasta my daughter will devour it all. She goes crazy for my Sunday Sauce Bolognese Recipe and I can’t blame her! We actually eat it by the spoonful as we wait for the lasagna to bake in the oven. Chris was laughing at me while I was writing down the ingredients for this recipe.. you see.. 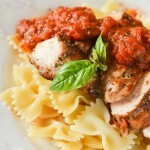 I actually cook by taste and that is why you’re just now seeing this recipe. 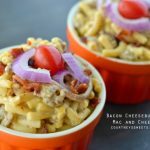 I’ve been making this recipe for over 2 years now! I figured it was about time to write it down, don’t you? 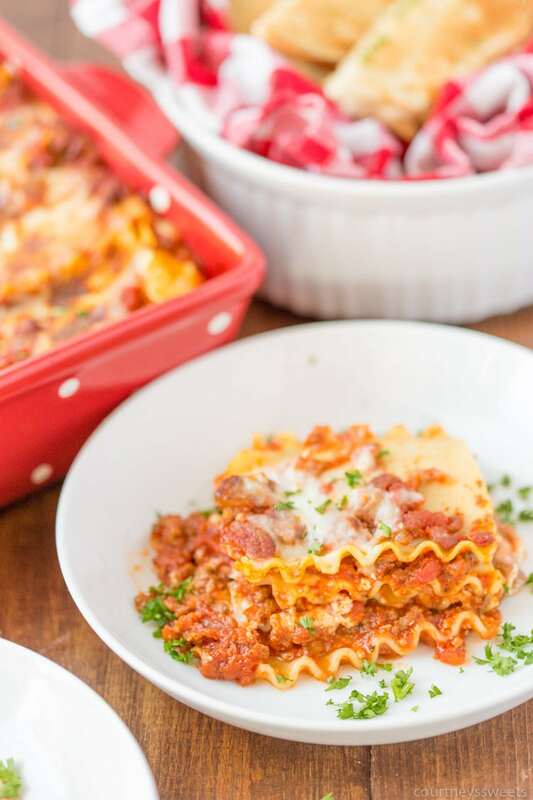 If you love this meat lasagna recipe you can easily prep it ahead. 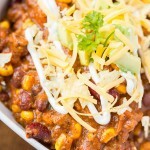 This recipe also freezes really well too! 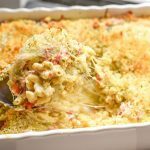 It’s a perfect meal to serve to your family and even a great gift giving idea for expectant mommies since the last thing they want to do is cook! 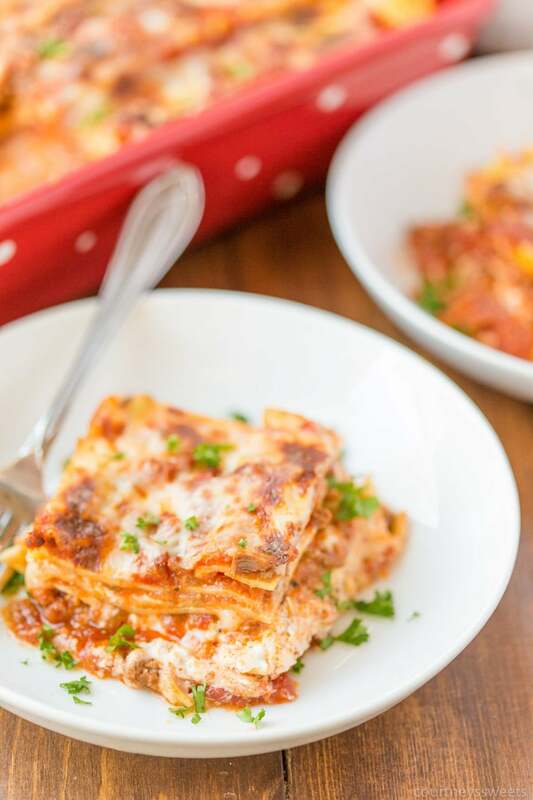 We love serving our homemade lasagna recipe with our garlic bread recipe or even garlic bread toast. 2 Cups Shredded Mozzarella + extra for the top!! Once they are browned cmbine all the ingredients for the bolognese and cook for at least 2 hours on medium/low heat. When the bolognese is done shred the short ribs off the bone. Now it's time to assemble the lasagna in a 9x13 pan. Combine the ricotta and mozzarella. First smear some sauce onto the bottom of the pan, followed by pasta, ricotta mixture, bolognese, pasta etc. The top layer should be some sauce and then some shredded mozzarella. Bake for 15-20 minutes at 350. You KNOW I love lasagna! Thanks for linking up to Simply Sundays! 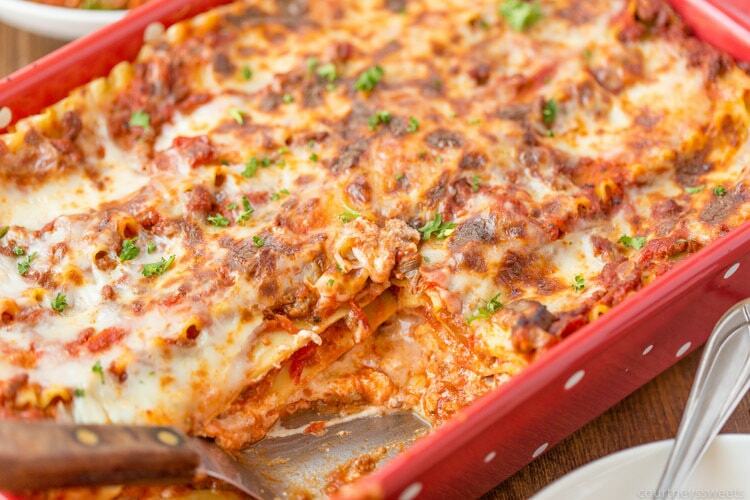 Nothing beats a classic & hearty lasagna! This looks divine. Your lasagne looks delicious, I have never had it with ricotta, only with béchamel sauce. Can’t wait to try it with ricotta!!! That would be so much easier than making a white sauce. I love lasagna, but so rarely make it. Short ribs would make this out of this world! YUM! Sharing to my FB page right now!